There have been 151 images uploaded to this topic. (View topic image gallery). 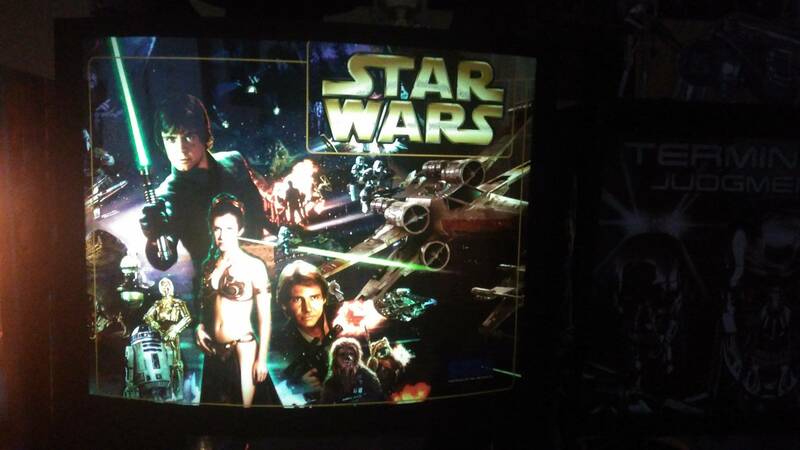 My Sega Star Wars Trilogy has picked up an annoying fault. Turn it on, get the "bloop", playfield lights come on, then after a couple of second, before anything else happens, the relay on the I/O Power Driver Board clicks, LED 204 comes on and stays on and the playfield lights die. Nothing else happens. All LEDs on the I/O and CPU/Sound board are lit so I have the power where I need it and it tests at a fraction over 5v where on the test point. I've removed the various ROM modules and given them and their sockets a visual inspection and all appears OK. Tests in bridge rectifier 21 showed something was amiss so I replaced it only to find out when off the board it tested fine :/ I can't see where the issue is and there is very little I can find online to point me where to look next. Any ideas? Sorry that no one has responded to your issues. I wish I could help you with your pin but I am not experienced enough to give you advice. So let’s treat this as a bump and hopefully someone with expert knowledge help you get your issues resolved. Btw- For the display, did you try reseating the display roms on the boards? They are real tough to get off but maybe there is a pin broken or bent somewhere. Also I had a display issue on my Frankenstein and there was a service bulletin with an updated cable from Sega. Good luck. Thanks Scoot. I did remove and reseat the display ROM in order to give the pins a light clean and check over but it didn't help, unfortunately. I've checked all pins on all ROMS and the CPU and all look good. I've checked continuity from each pin to the board to discount fractures and they're all good. Can ROMs just corrupt over time or is that unusual? I think I need to get myself a spare set of ROMs and a CPU just so I can swap them out to eliminate them in this situation and (no doubt to follow!) other situations. I have never heard of them corrupt or going bad, and it seems you have a good understanding of basic electronics. The only other suggestion that I have experienced is cold solder joints. I always reflow the solder joints on a circuit board when i cant find any other issues. Sometims its hard to see these and has gotten me out of a jam from time to time. Good luck to you. I'm beginning to think this may be a way forward. How's best to do that? Individually reflowing each point? I had a laptop that had a known problem with solder joins facturing on the motherboard. Did some research and ended up wrapping it in tin foil and placing it in the oven at about 180 degrees celsius for 15 mins. Left it cool, rebuilt the laptop and it worked perfectly. Is this a reasonable approach to the CPU board? Not sure it would be a good idea with the I/O board because of things like the relay which may not like 180 degrees. I have had to reflow solder joints in the past and sometimes you can’t see cold solder joints by a visual inspection. There are a few posts on here about that but it is pretty simple and a little time consuming. You are correct and not recommended to stick boards in the oven, but a hot iron and a little flux paste will work well. Also reseating all the the ribbon cables and connectors on the boards may help too. 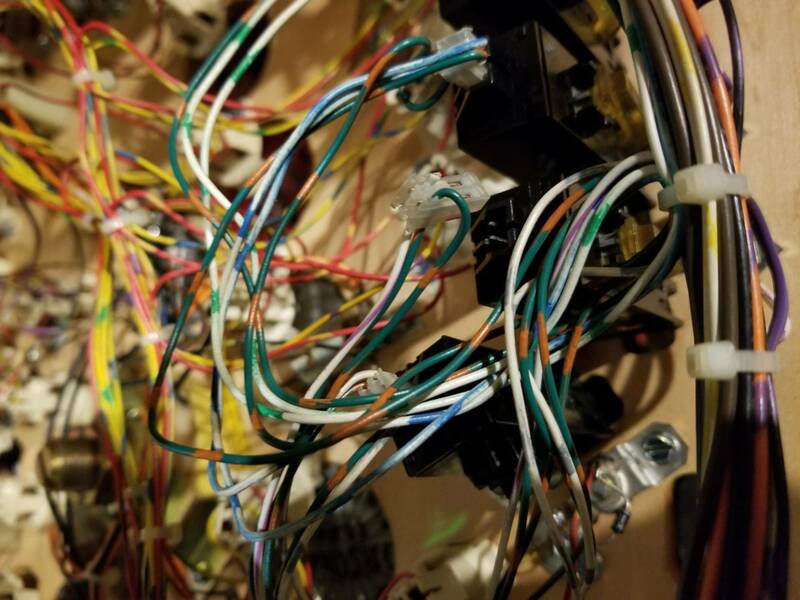 Look for discolored or burnt looking connectors and any loose wires in and around them. 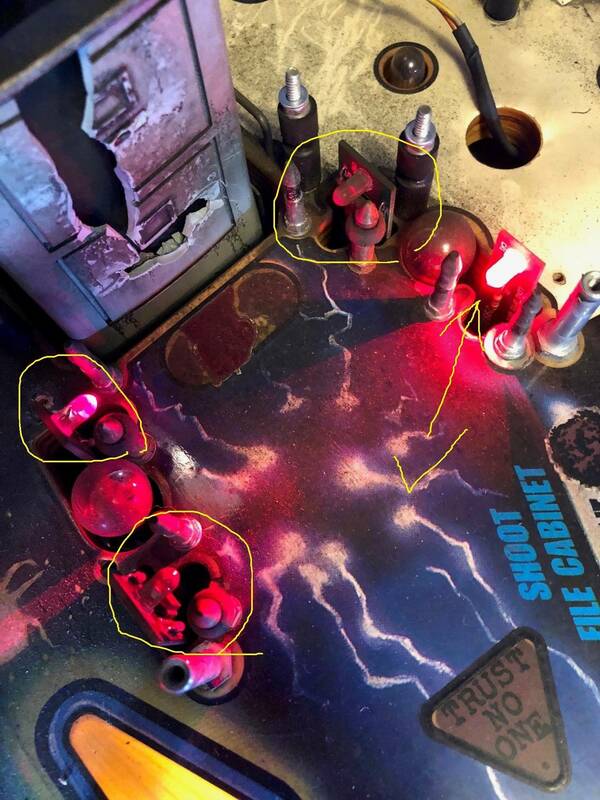 Lastly, this may be obvious but check the fuses since the slow blow kind are hard to tell visually. Thanks again. Top tips. Hopefully I'll be able to report back when I get a few hours to mess about with it again. 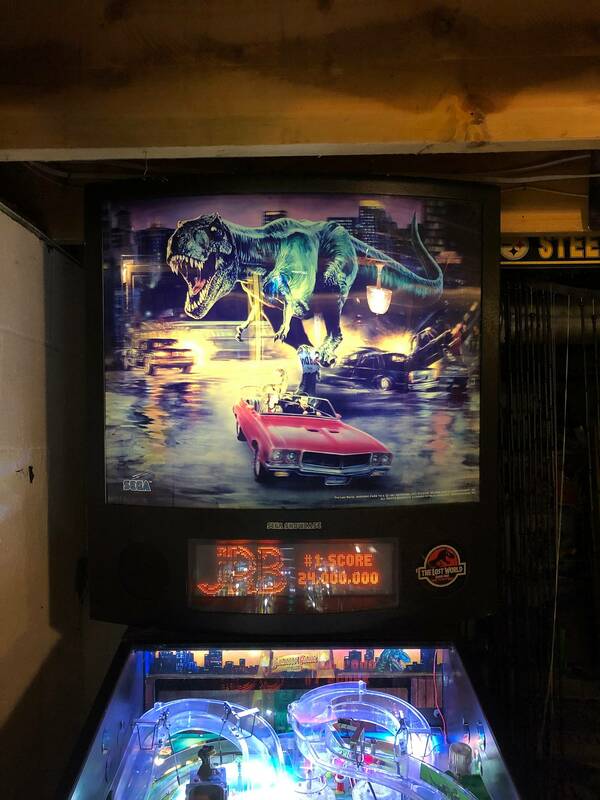 Just got a beautiful Maverick, but the paddle wheel is sticking every now and again (especially when bringing up a pinball). Does anybody know if this needs to be lubricated, or if there is a common issue that might cause this? I was going to dismantle everything and poke around, but thought I'd check in to see if anybody has experienced the sticking before I get in there. 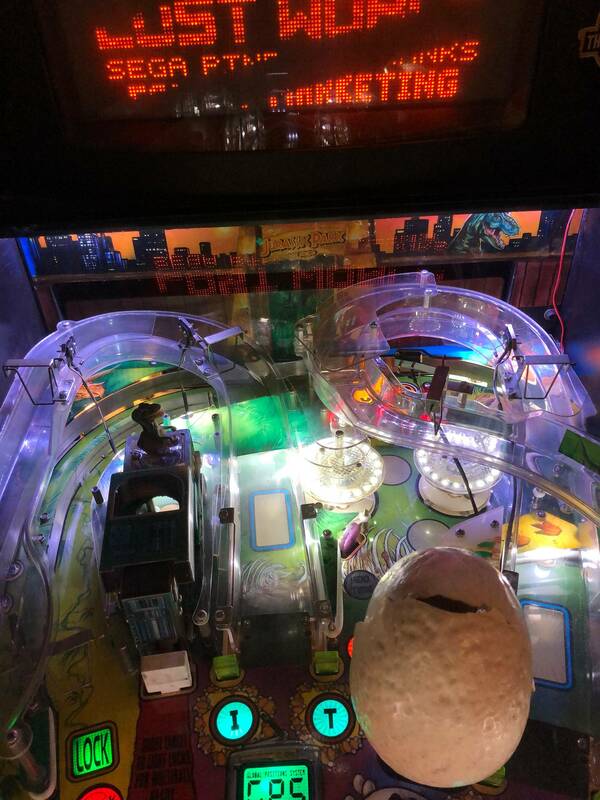 The game starts up normal and will go in to attract mode but after a small amount of gameplay it will power off and then restart. Test the bridge rectifiers. My Baywatch had a reset issue that was caused by a bad BR. I've had a few Segas that had issued caused by a bad BR. 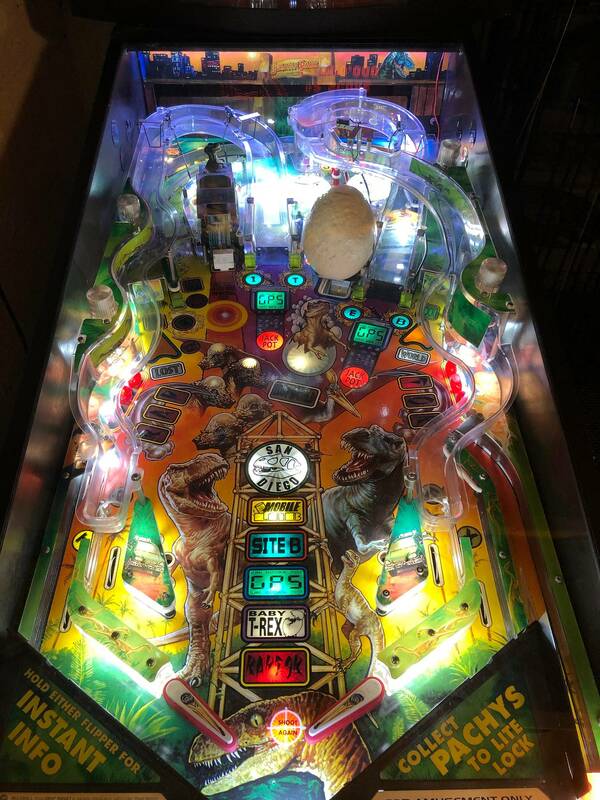 By "playfield lights" do you mean everything, just GI, or just inserts? 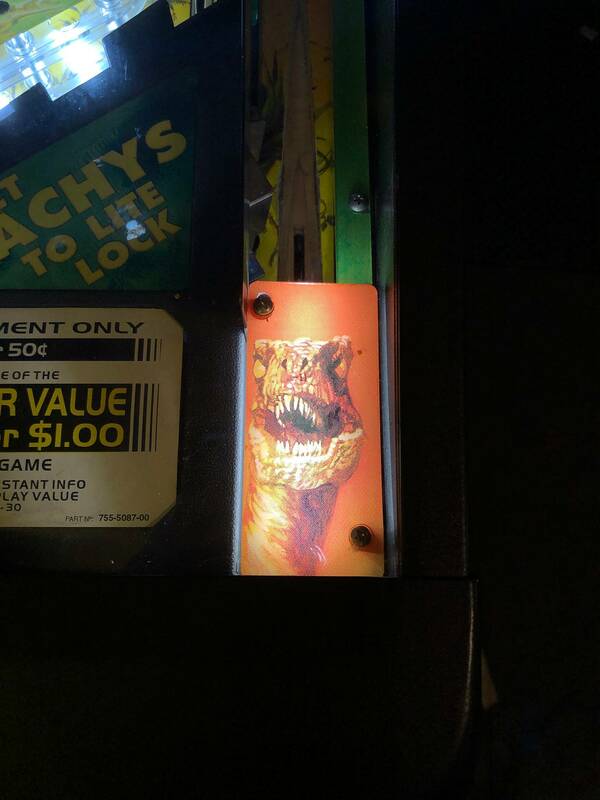 I had a similar thing happen on my Batman forever as I was using the Xpin power board from my Jurassic Park. I could play a game without the GI and it turns out the fuse that controls GI had weak clips so the fuse was just sitting there but it looked to be firmly inserted. I just happened to squeeze the clips together and everything was back to normal. It's weird because I've never messed with that fuse. I am having a little issue with some of my GI LEDs not staying on. I can push on them and they will turn on but if left alone they are either fully off or very dully lite. 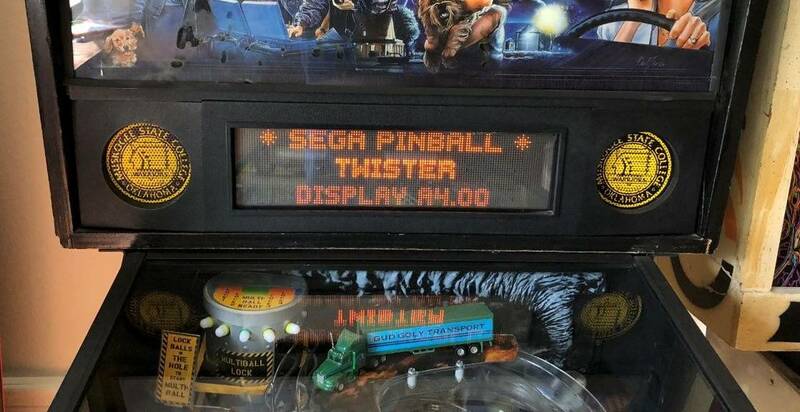 Anyone else come across this on any of their sega cabinets? Should I reflow the solder on the sockets or should I just replace the socket all together? Maybe something else needs rework? Have you tried cleaning the sockets, sometimes they get corroded and you get a poor connection. Also, try pulling the springs up. Sometimes that works for me. 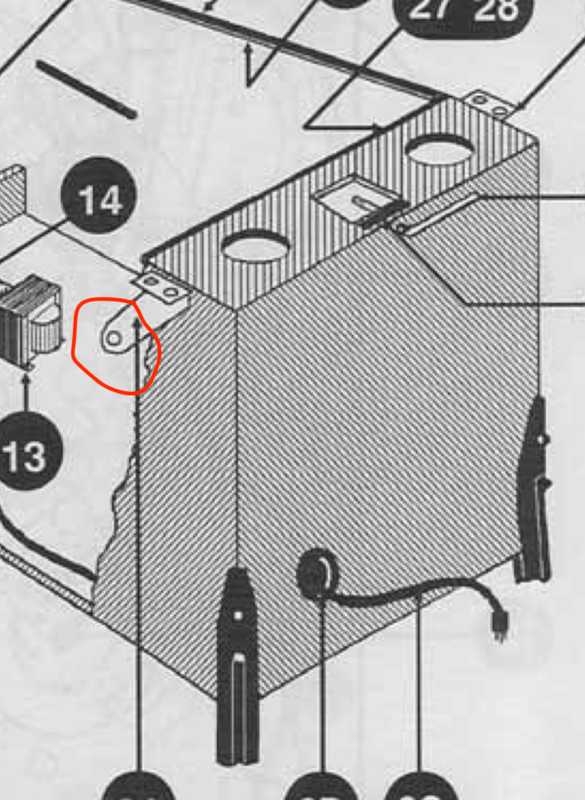 Isolated the fault to the CN6 circuit. If you unplug CN6 (flipper switches, memory protect switch and the three service/diagnostic door mounted buttons) it starts up pretty much as normal and goes into attract mode. However, hit the start button and you get no new game or ball loaded and the “Negative” sound bite each time you press is until finally you get Vader saying “You have failed me for the last time”. Amusing but not helpful! Subsequent presses of the start button produce nothing. I’ve checked continuity from each of the pins on the CN6 plug to the flippers and the door service/diagnostic switches and even the memory protection switch and all appears well. Checked the flipper buttons and they test good. Had a repair guy out who brought a new board with him and that gave the exact same results so it’s fair to say there’s not fault in the board, I think. I’ve exhausted all ideas as to what it could be. 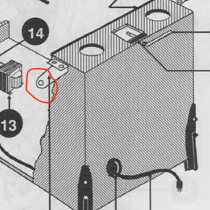 If CN6 is somehow causing the original fault then how can all the items on that circuit be testing good? Picking up Frankenstein today my first pin. 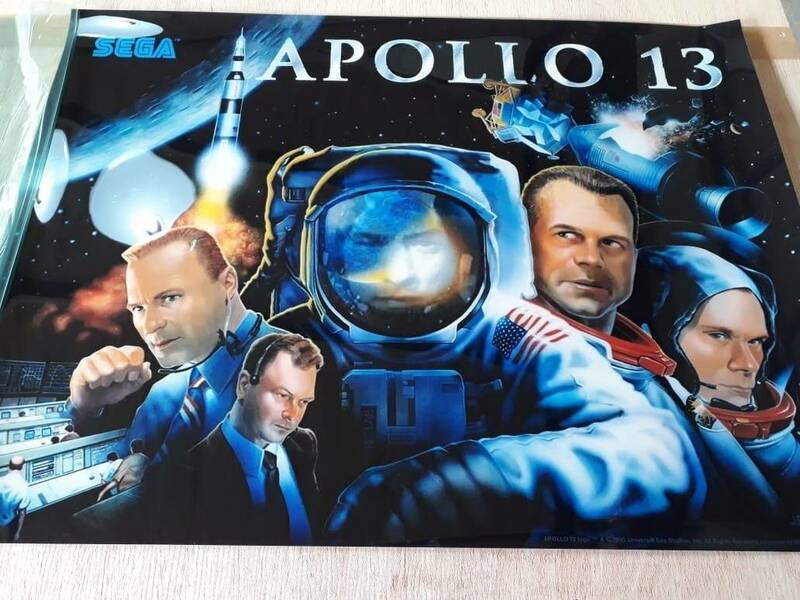 Jiust hope I don’t regret getting a Sega pinball everyone says its great and lots of fun and Sega pins are not underrated. So count me in. Very underrated pin. Durable and easy to work on. The ramps are unobtanium so be careful with them. The dmd is problematic and needs the updated harness if not installed already. If your display resets or is out, look for the service bulletin replacement harness to fix your problem. Wow, good for him! I started that game back in September and the video scenes broke me. Looks like we had similar palette choices and that always makes me feel better about the picks I made. Can't wait to see some videos of it in action. 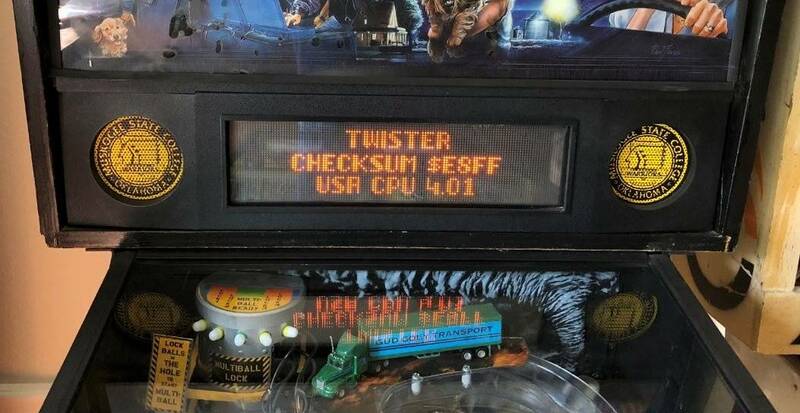 Currently have a Twister that I've had for a couple years, the spinning disc is not spinning, which seems to be a common problem. One solution was to replace the main ROM, which I'm finally getting around to replacing. I initially had trouble pulling out the existing ROM chips which is why I took so long to replace as I didn't want to break anything. Finally was able to figure out how to extract existing chips without causing damage. I replaced both in the game, but when I turned back on on game doesn't appear to boot. PF Lights come on, but game doesn't start. Removed the new main ROM (but left display) and replaced with original, and game booted after asking me to open door. Question 1: Is there something I should be doing to help it boot with new ROM chip, or is it missing something else that needs to be added for the new ROM chip to work? Question 2: Aside from display working as expected, how can I check that updated ROM is functioning properly, what has changed? At any time did you turn the game on with the game ROM 4.05 in upside down in the IC socket? If so, that would damage it. Can you post a picture of the MPU board? I'll try to post a picture tonight. Regarding the chip, I don't believe I installed it incorrectly, I was aware of the notch, but I can't definitively say I didn't. Maybe I'll order a new chip to be sure, only $10. Should I grab new sound chips as well? I'm assuming there is a breakdown somewhere showing what changes/fixes are in each ROMset? If you are referring to the phrase cutting out when you turn on the game, I am sure that is normal from what I remember when I had my game. If you purchased the game ROM from someone, I would message them about it. They may send another without charging you. Testing it in a game or in an Eprom programmer would be only 2 ways to test it. I never had an issue with my spinning disc, so I may not be of help there. I will have to check the manual and see what turns it on. Congrats. 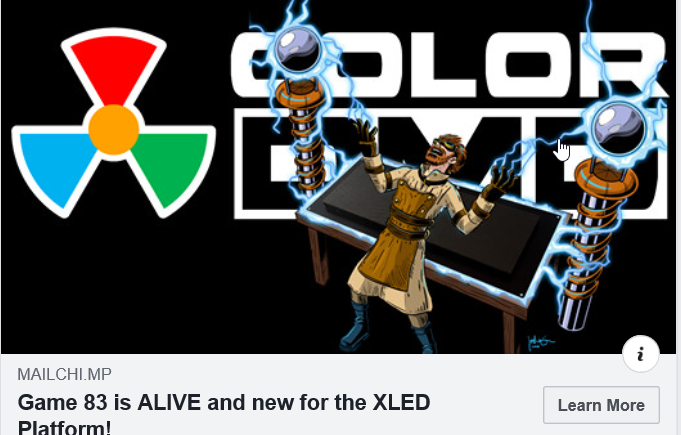 You'll like it even more with a ColorDMD. Yes I have seen that but want to put in a LED kit first any ideas which is the best LED kit to buy and where? All personal pref. I like the coin taker kits, but maybe you want to make your own with colors or white? I like choosing my own color LEDs from Comet. 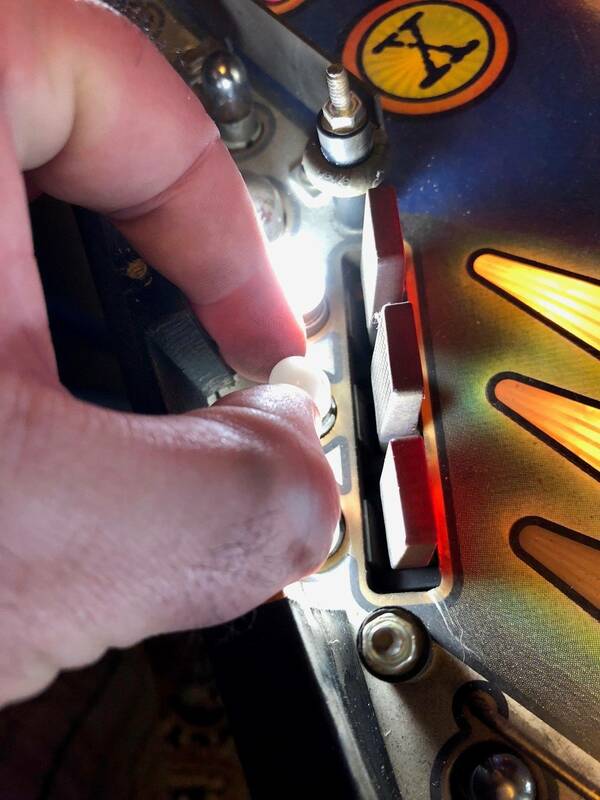 Cool or warm white LEDs in the GI depending on the game and colored non-ghosting LEDs for the inserts. Get the natural white bulk packs from comet. I put them in my Frank and they looked great. Kits are good but you can save some $$ by doing it yourself. Im not positive of where you can buy them. But I do know I have used wire snips to cut longer ones (to sizeish.) may not look factory but gets the same desired effect. I don't know where to get the original connectors but the female 2 pin jst connectors fit. 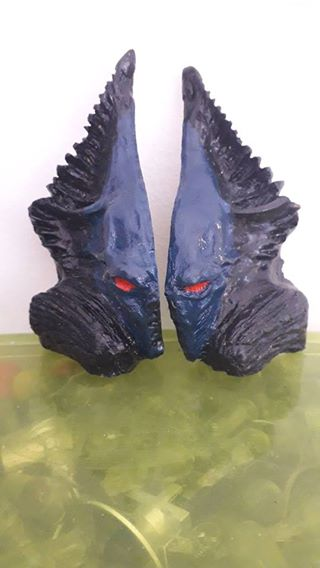 I have some from an ebay order error, if you need them just send me a pm and I can mail you some. There's a picture of the fit here. thanks for the reply, i have a couple molex from GPE coming, i am going to see if they fit and if I can try to put 2 wires into one connector. Surprising this was never reprod, seems easy enough. I noticed that some machines have the production numbers while others do not. IPDB did not have numbers either, is there a good place to get an estimate for these machines? SST in particular. I'd like to know for Baywatch too out of curiosity. I've always heard 2500 but nothing concrete. Anyone know the point of these two caps? On the bottom of the large sega dmd driver board? 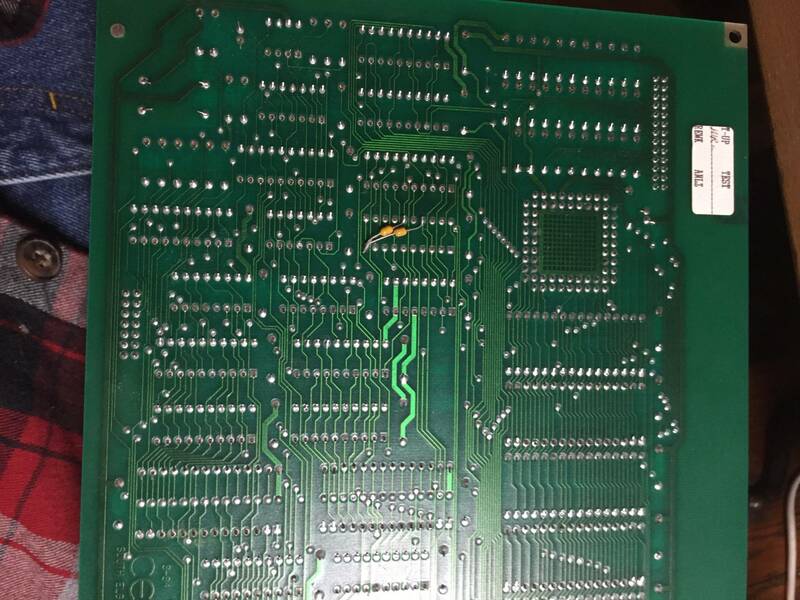 While on the subject of this board, what was the purpose of the unpopulated caps, large diodes and what looks to be another 5v connector? 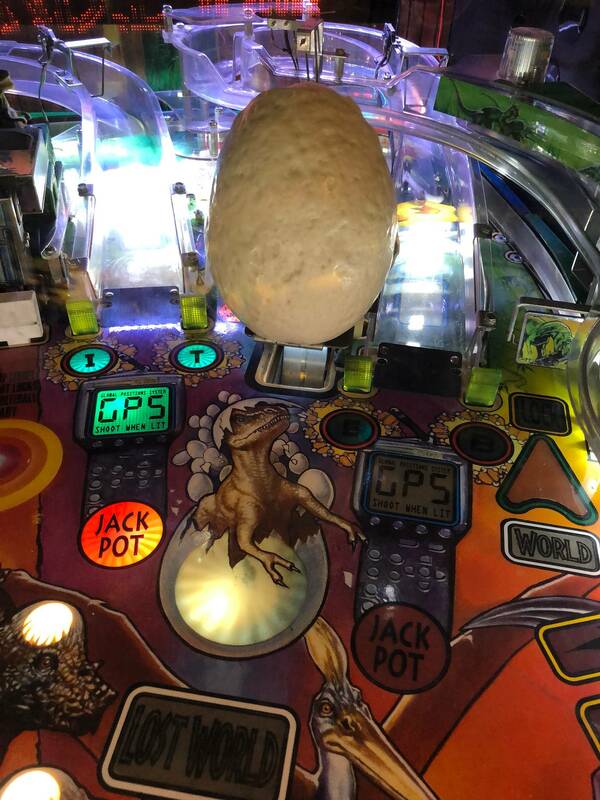 Does anyone need a new ID4 Alien Head? Very happy to finally join the club! Picked up a lost world for a great price, and I have to say I am really enjoying it! Put some led strips in (trough, scoop, shooter lane, and backboard) and in my opinion, they look amazing. I would also highly recommend the led pop bumper rings from comet. The way they fade in and out with an LED OCD board is amazing. For some reason, the drop target can’t drop itself, so I have the snagger disabled. I suspect it is the coil. Going on a bit of a Sega streak. Going to be picking up a LiS and an XF here pretty soon. Will post pics! Awesome, thanks! I’ll take a look at that!